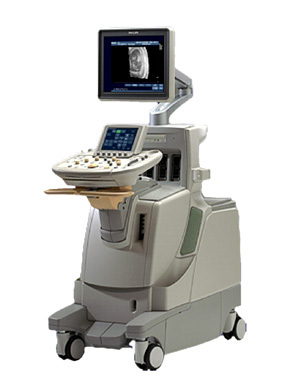 The Philips iU22 ultrasound system is known for its combination of advanced and useful technologies, superb imaging performance, and a user-centric, ergonomic cart. It performs exceptionally well in today’s demanding and fast-paced clinical environment, providing high-quality images on all patient types, advanced volume imaging solutions, and innovative workflow and scanning ease. In addition to its multiple imaging technologies, the Philips iU22 ultrasound is packed with workflow features and ergonomic designs. From the adjustable monitor to its easy-to-access transducer connectors, combined with its maneuverable cart, the iU22 ultrasound makes high-quality imaging a breeze.